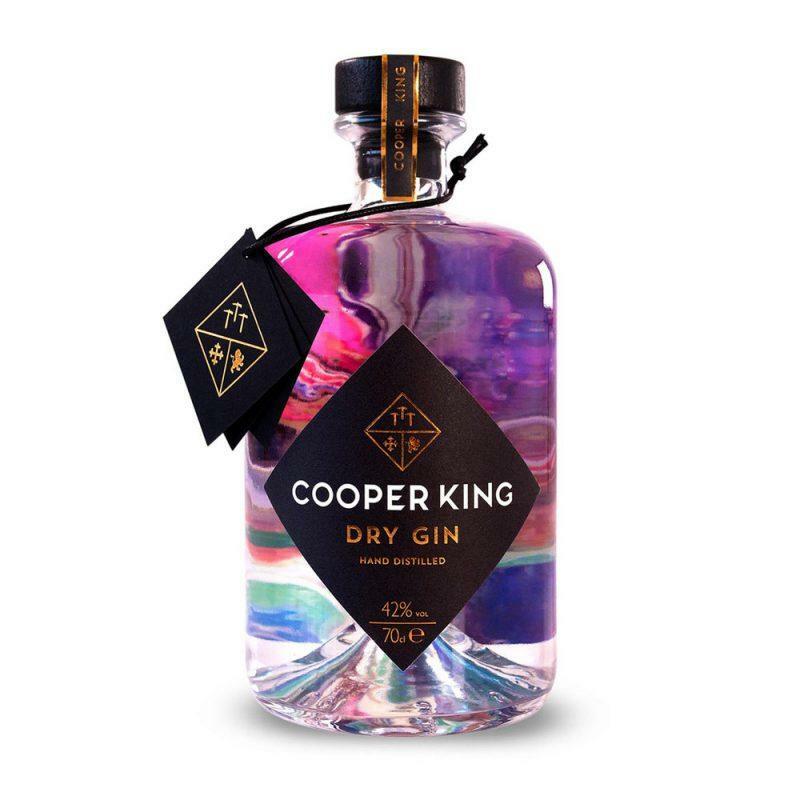 Cooper King Distiller is a micro-distillery found on the site of a stable. It’s family run and has a delightful shop, tasting room and production area. The company was formed in 2016, has been distilling gin since 2018, and stands out from other distillery’s in the country as they are one of just three to be run on 100% green energy. They also produce one of the most delicious Yorkshire gins available! The distillery, which has become well known for their delicious, alcoholic blends, was created by Dr Abbie Neilson who was once a scientist, along with Chris Jaume, a chartered architect. The project began when co-founders Chris and Abbie left their day jobs to travel and enjoy life to its fullest. Upon returning to the UK, armed with a business plan and a lot of ambition they were committed to emulating what they had seen, and set about creating an independent craft whiskey distillery in their home of Sutton-on-the-Forest in North Yorkshire. Interestingly, the couple sourced their copper whisky pot from Tasmania and believes they’re the only distiller outside of Australia and New Zealand to use one. Where Does The Name Cooper King Distillery Come From? Chris’ great-great-grandfather was a prominent figure in the mid to late 1800s. He was a Lieutenant Colonel of the Royal Marine Artillery, and the Cooper King family tree can be followed all the way back to 1030, interestingly, the shield the shield of their ancestors, the Pigot family of Yorkshire, can be seen today in Ripon Cathedral. Speaking about their venture, they write “Our mission is to bring you outstanding Yorkshire spirits underpinned by craftsmanship, honesty and adventure. What Cooper King Distillery Products Are Available? Although the first Whisky to come out of the Cooper King Distillery won’t be available until 2022, their dry gin is available to buy now. What’s more the company plants 1m2 of woodland in the Yorkshire Dales for every bottle sold. A gin, powered by 100% green energy. With rich junipor notes married with juicy citrus and floral layers of local honey to deliver a fresh, vibrant gin of exceptional character. Have You Tried This Yorkshire Tea Flavoured Gin?